"There are still things we are achieving so we are not going through the motions." "The irony wasn’t lost on us and we were really glad that we have been welcomed back by the BBC and the establishment." JJ Burnel on BBC 6 Music – Radcliffe and Maconie. 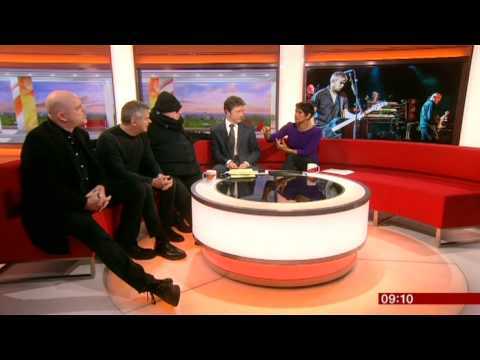 Mike Sweeney speaks to Baz Warne and JJ Burnel from the Stranglers. "We've laboured long and hard to pick a very mixed bag. There'll be some new stuff from the last three albums, there'll be some stuff that hasn't been played for 25 years, and there might even be a couple that have never been played before." Arnold Drive: Can a man keep his faith when he's lost his way? "I think it was about chapter three when I fell in love with Arnold Drive. He is an incredible character capable of such genuine affection and empathy..."
"Winter may still be doing its worst, but there are five very special meninblack whose thoughts are already turning to early spring..."
"We were definitely a punk band to start with ..."